If you have a project in mind, Future Electronics and Texas Instruments are currently offering free development boards and 50% discounts on selected development kits respectively. Every Wednesday at 12 pm EST from August 1 to August 22 Future Electronics will post a board on their Twitter, Facebook and Google+ feeds. 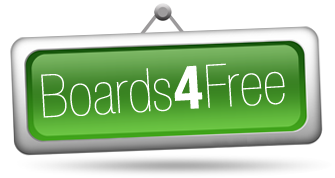 Future Electronics will draw 5 winners and give away 5 boards each week, and the winner will be announced every Wednesday after the contest has closed. They did not provide details about the type of boards, but I would assume those will be MCU based development or evaluation boards. This is an international contest, so anybody can enter, except those who live in US embargoed countries. To participate go to to www.innovation-worldcup.com and fill out the Innovation World Cup Wearable Technologies form. You will get a confirmation of your participation right after registration, and if you choose to design with one of the kits mentioned above, you will receive a discount code that can be used in the TI eStore towards the purchase of one featured kit. That “http://” thing must be important then. Good, I can see you can comment now.